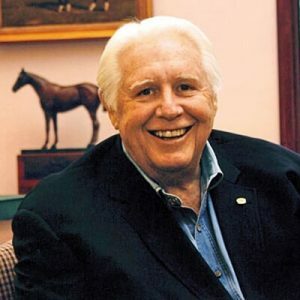 Our founder and past president, Arnold Kirkpatrick, was the only horse farm broker in the Bluegrass who was also an award winning Thoroughbred breeder. Clients worldwide benefitted from Arnold’s more than 50-years experience as a horseman, racetrack president, publisher and Eclipse award winning turf writer. He developed a strong reputation as a knowledgeable and, more importantly, honest professional both locally and abroad. Arnold Kirkpatrick was a gentleman of the highest degree who built our firm on respect, fairness and constant improvement. Our associates will forever follow his example, as he elevated the professional standards for both the horse industry and real estate brokerage. Truly, Arnold is the reason Kirkpatrick & Company is generally accepted as Central Kentucky’s most respected source of farm brokerage.